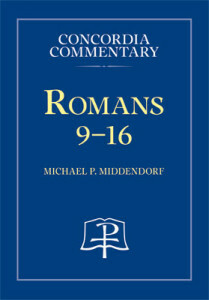 CPH is proud to announce the release of Concordia Commentary: Romans 9–16 by Dr. Michael Middendorf! As does Middendorf’s commentary on Romans 1–8, this commentary provides a clear exposition of the Law and Gospel theology in Paul’s most comprehensive epistle, delivering beneficial insight for preachers and biblical teachers who desire to be faithful to the text. Check out our recent Q&A with Dr. Middendorf below! 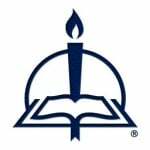 I currently serve as a professor of theology in Christ College at Concordia University in Irvine, CA. As such I teach a variety of Bible-related courses in person and online to undergrads, graduate students, and seminarians in our Cross-Cultural Ministry Center program. This broad spectrum of instruction is both challenging and invigorating! For the past seven years I’ve also been a pastoral assistant at Trinity Cristo Rey Lutheran Church, a bilingual congregation in Santa Ana, where my wife leads the music. Prior to coming to Irvine in 2001, I was a parish pastor in North Dakota and then taught at Concordia University Texas. Other interests include traveling (like St. Paul), hiking, and archaeology (e.g., I spent three summers on a dig by the Sea of Galilee). My grandfather was a parish pastor, and my dad was an ordained professor, so both of them provided positive role models, as did my fine pastors over the years. I also was privileged to attend Lutheran schools throughout my education where church work was valued and church workers were prominent. Perhaps the decisive factor for me was going to college at a Concordia (Concordia University, St. Paul), where I spent time with others my age who were dedicating themselves to church work. Finally, worship has always been attractive to me, and the Bible just seemed very significant—I’ll credit those to the Holy Spirit. How did you become interested in the biblical book on which you wrote your commentary? Romans has always struck me as a profoundly influential and powerful book. During my graduate studies at Concordia Seminary, St. Louis, Dr. Louis Brighton advised me that two critical, but highly disputed, sections of the New Testament were Romans 7 and Romans 9–11. Since Romans 7 was only one chapter instead of three(! ), I chose that for my doctoral dissertation. (CPH published an adapted version titled The “I” in the Storm.) Over the years, I have been privileged to teach Romans numerous times in a variety of formats including congregational Bible studies, undergraduate courses, and seminary courses at St. Louis and Irvine. Each of these provided valuable learning experiences and increased my interest in exploring the letter further. During a 2009 visit to St. Louis for a CTCR meeting, Dr. Jeff Gibbs and Dr. Chris Mitchell asked if I would consider writing two volumes on Romans for the Concordia Commentary series. Due to the magnitude of the letter, I was greatly honored and also a bit overwhelmed! Romans is such a large and significant book that my level of understanding has surely deepened in layers over time. God has given me many opportunities to engage with the text both as a student of Scripture and in striving to communicate its meaning to diverse groups of people. Obviously, writing the commentary provided a quantum leap of in-depth learning. I’m certain I still have much to learn about this great letter and look forward to doing so for the rest of my life! This will go in two directions. First, while Romans is a contextual letter directed to a number of house congregations in first-century Rome, the manner in which Paul writes to them makes the impact of the letter universal in scope and application. For example, he uses the Greek word for “each/every/all” (πᾶς) 70 times, as well as a number of other all-encompassing expressions (e.g., “Jew and Greek/Gentile”). As a result, the eternal message exhibits an amazing applicability to people of all times and ages, including our own, and has immediate relevance to so many contemporary issues. Second, Concordia University, Irvine, granted me a sabbatical and also awarded me a fellowship twice. Together these gave me three semesters away from teaching. As a result, I was able to spend extended amounts of time sequestered in what I call my “Romans cave,” the spare bedroom in our house. This allowed for many cherished hours interacting with a myriad of scholars and resources related to Romans, all of which proved to be both educational and inspiring. Due to its sheer length (7,100+ Greek words) and the depth of the material, one can fairly describe Romans as Paul’s most exhaustive epistle. Trying to get a good grasp of each and every aspect of his words also became quite exhausting! That is mainly for readers and reviewers to determine. My hope is that the commentary deals accurately with the Greek text of Romans within its original context, but then also fully and faithfully conveys its meaning, especially the saving message of the Gospel (e.g., 1:16; 3:21–26; 10:6–17). Like the Gospel itself, Romans has exerted a powerful influence ever since it was written almost two thousand years ago. This is evident from its extensive use by early church fathers and, particularly, in the Lutheran Confessions, both of which I cite regularly for affirmation. To that end, I hope the commentary will mainly be a vehicle by which readers can sit at the feet of St. Paul and learn from him. To be sure, some passages remain unclear. But as pastors and laypeople engage in hearing the wealth of divinely inspired teachings contained throughout Romans, I pray they will be strengthened in their own faith and then be enabled to communicate God’s Word to others with enhanced confidence. In the first volume, I grasped Paul’s God-centered focus. This is especially noteworthy in his depiction of God’s righteousness throughout chapters 1–4 (e.g., in an oft-ignored section like 3:1–8). As a result, I’ve titled presentations “Romans: It’s Not Really about You . . . and That’s a Good Thing!” Then Romans 5–8 beautifully describes the believer’s life in Jesus Christ our Lord. Romans 8, all by itself, provides a lofty mountain peak! However, despite all of the attention given to the first eight chapters, Paul is only halfway done. Romans 9–11 remains highly disputed. But I learned that those chapters are so carefully integrated with one another that an interpreter really needs to view all three as a single unit. For example, it can be misleading to treat Romans 9 all by itself. Recognizing the progression of thought and coherence in all three chapters helps tremendously when trying to understand difficult passages like 9:18–24 and 11:25–26. Finally, we theologians love the depth of theology in Romans 1–11! But chapters 12–16 remind us of the ongoing obligation to put love into practice in our relationships with others (e.g., 12:9–13:10). Paul reminds us to do so in grateful response to God’s mercies (12:1) and the righteousness he graciously grants to us in Christ. The most focused audience for the entire commentary series remains pastors preparing sermons and Bible studies (see #7 above). If they find it useful in feeding their flock and witnessing to the faith within a wide variety of personal and communal settings, my efforts have all been worthwhile! At the same time, this purpose is balanced with striving to cover a broader spectrum. Therefore, the commentary addresses scholarly matters for the academy and also seeks to be accessible to those without a knowledge of Greek (in regard to the latter, volume 1 has challenged my undergrads as an assigned textbook and even my mom, who is working her way through it!). Mainly, I hope to be a conduit through which others can grasp the manifold messages of Romans. One way to do this is through classroom instruction and other avenues of teaching. But the opportunity to put so much of what I have learned down in writing reaches a wider audience and achieves a permanence that goes far beyond my personal interaction with students. Of course this pales in comparison to God’s Word, which truly endures forever (Is 40:8; 1 Pet 1:25; cf. Rom 9:6)! To find out more about Concordia Commentary: Romans 9–16, listen to Dr. Middendorf’s interview with Rod Zwonitzer on KFUO.